Spend your camping holiday in Norway on the coast, with a view over the far-reaching fjords, or go inland and be enchanted by the snowy mountaintops. The diverse and vast landscape of Norway is just the thing for any camping enthusiast. Because the country is so sparsely populated, you can spend hours driving without encountering a single village, while at the same time the big cities such as Oslo and Bergen are vibrant and welcoming. 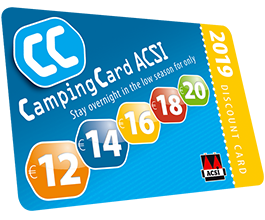 In other words, a country where you will certainly want to go camping at a discount. ● The capital of Norway is Oslo, in the southeast of the country. The city was founded in the eleventh century, which means the metropolis has two faces: the city has kept a part of her history, but other parts are very modern. Oslo has a large number of museums, many of which are located on the museum island of Bygdøy. The Akershus Fortress, which was built in 1299, is a beautiful historic castle that once protected the city against rabble and riffraff. It is now a museum. ● Climb up the majestic mountain Preikestolen. This mountain towers above the province of Rogaland and its base is easily accessible from Stavanger. The climb will lead you past a large diversity of landscapes. You will be starting in a forest, but later on will find yourself clambering over rocks. You will be awed by the majestic, flat plateau at the top. When there is snow, the climb can be very challenging. ● In the town of Bergen you can visit the well-maintained Bryggen (Wharf). In the fourteenth century, a number of wooden Hanseatic offices were built on the water, and despite two fires these have now been restored to their previous state. Bryggen has been added to the Unesco list of World Heritage Sites because it is a unique construction that fits beautifully in with the look of the town and which makes the viewer believe that he is in one of the oldest harbours in Northern Europe. 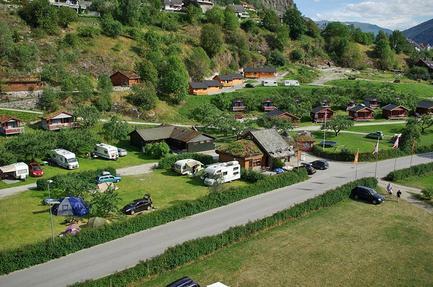 You can camp at bargain prices at Norwegian campsites which tend to be well maintained, quiet and neat. 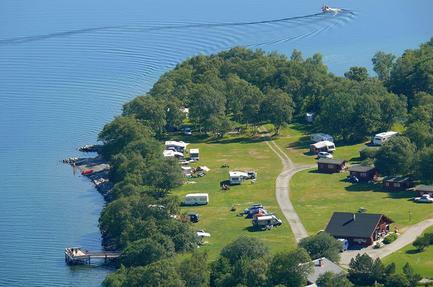 Experience the view over the fjords or walk through the forest directly from the campsite. 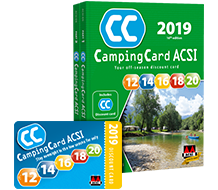 If you are an active camper, the country is perfect for hiking, fishing and winter sports. Norway is an exceptionally wealthy country because of its oil reserves, and this is apparent in many aspects. The cost of living is high, but the country’s residents do not have to pay for healthcare and education. The country has a very low population density with five million inhabitants. The most well-known type of Norwegian house is made of wood. In the smaller villages especially this characteristic style can be found everywhere. Norway is not a member of the EU and has its own currency: the Norwegian Crown (NOK). The language has two variants: Bokmål, which has its roots in Danish, and Nynorsk, which developed from various different dialects. The Sami, a nomadic people from the north, speak their own language, also called Sami. Norway has many different climates. In the north it has an Arctic tundra climate, whereas in the west the climate is soft and temperate. Further inland it is a cool continental climate. On the coast especially it can rain a lot, but the picturesque landscape easily makes up for this. Bargain camping in fairy-tale Norway is definitely worthwhile.